A vibrant and welcoming environment for all who walk through its doors, the 14th Street Y serves as a second home to many in our community. As a nonprofit organization, the 14th Street Y relies on philanthropic support, including from special events, to advance our mission as a hub of creativity and cultural and community programming in downtown Manhattan. In addition to helping subsidize critical programs and services for our children and revered seniors, your tax deductible contribution provides much needed scholarship assistance and helps keep the doors open for members of our community who haven’t recovered from the devastating economic downturn. 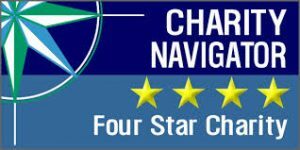 The 14th Street Y, a part of the Educational Alliance, is rated four stars on Charity Navigator. Did you know you can double or even triple the impact of your gift today? Please check with your employer to see if your company has a matching gifts program, or contact us and we’ll be happy to look into it. The 14th Street Y is a program of Educational Alliance, Inc., a 501(c)(3) non-profit organization serving New Yorkers from all walks of life (Tax ID #13-5562210). All donations are tax deductible to the extent allowed by the law.